We are delighted to have the opportunity to exhibit the works of Granard-native Eilish Creamer. 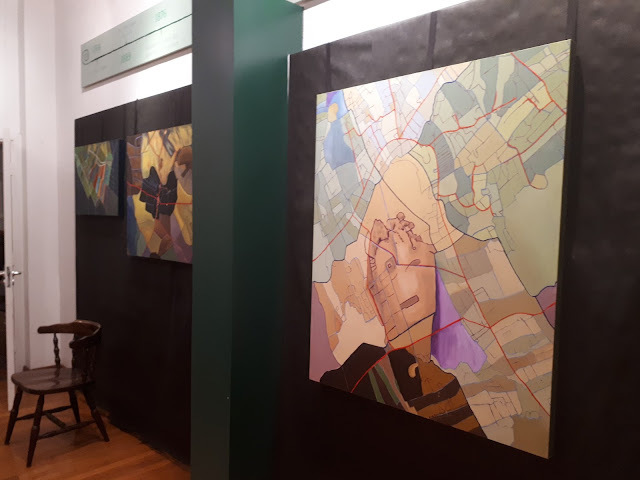 The exhibition is opening in conjunction with the launch of a teacher pack and website based on Eilish's work tomorrow night, Wednesday 18th April at 7.30pm. All welcome. The '...and where are you from? 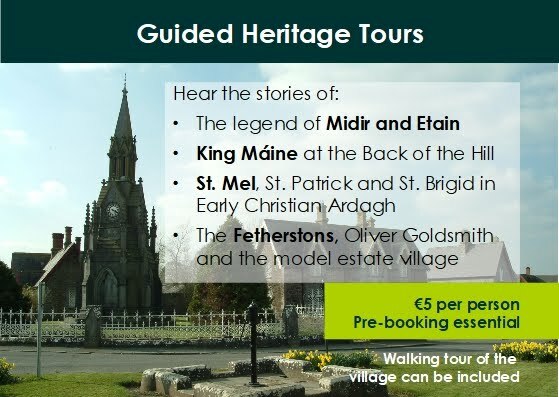 Art of Longford Townlands' teacher pack is designed to be used with the website http://longfordtownlandsart.blogspot.ie thanks to the support of Creative Ireland's Longford Committee. 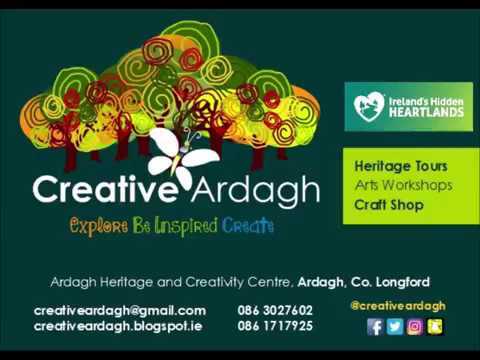 The project started when Creative Ardagh were approached by Eilish with her vision for an art project to enable students to 'increase their cultural identity and imagination by application of history and folklore to art'. 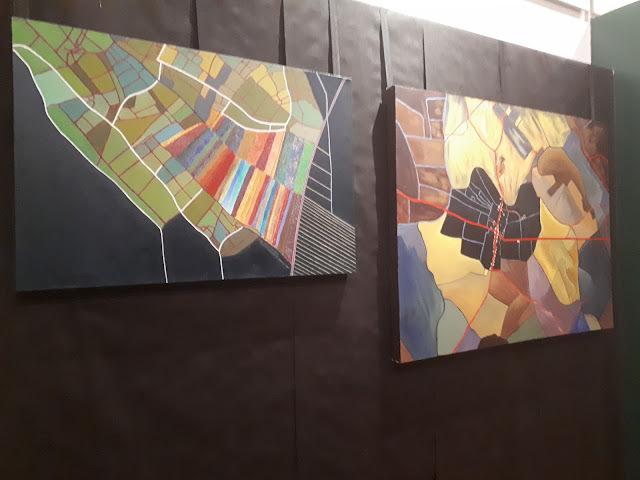 Eilish's own work had led her to explore the unique shapes of the townlands around the county on maps and with her local knowledge she began to see images in the shapes. Her recent paintings feature stories from local legends, folklore and history. The teacher pack and accompanying website can be used as inspiration for a similar project in your local area. Inside you will find local history resources, lesson plans for introducing the project and ideas for a variety of interpretations in different media including drawing, paint and colour, fabric and fibre, clay and printing. All of this is linked to the primary school curriculum but the open-endedness of the project allows for adaptation for secondary school and adult groups also.